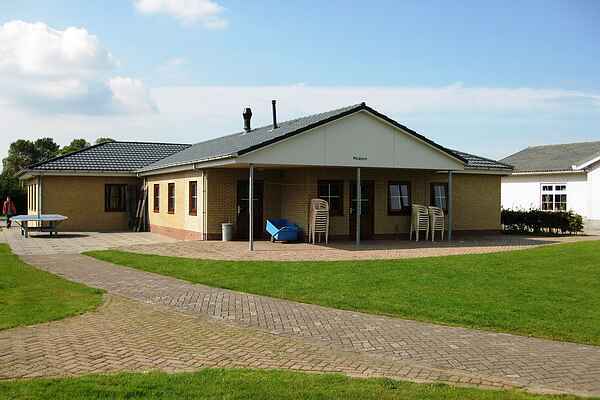 Recreation Park Klaverweide offers a variety of (wheelchair-friendly) group accommodation. Each type of accommodation is on the ground floor and is detached. You have the choice of 16-pers. (NL-4323-06), 32-pers. (NL-4323-04), 34-pers. (NL-4323-02) and 40-pers. (NL-4323-03) houses. Each type has its own fully equipped kitchen and comfortably furnished living/eating part. The types NL-4323-02 and NL-4323-03 do not only have an atmospheric fireplace, but also a cosy bar. Each house has a large garden with terrace and garden furniture.